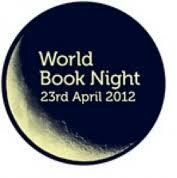 Well, it’s been and gone and my World Book Night 2012 experience was very different from last year. Firstly, I was honoured to be asked by BBC Radio 4 to be interviewed for their “One in a Million” show along with other givers of last year’s books to talk about the whole experience. You can still catch the show on iplayer here, and the notes from the BBC Radio 4 show are here. The fact that the event was this year held on a Monday (for Shakespeare’s birthday) made it a very different event as all involved had to work the giving around their jobs and regular Monday activities – Last year’s Saturday giving was much more rewarding and easier to manage. I collected my books with my daughter, as last year, with our collection point once again being the lovely Kirkdale Bookshop in Sydenham – and yes, we just had to both buy books whilst we were collecting our box of WBN books, would have been rude not to. With just 24 copies this year, and the title being Mark Billingham’s SLEEPYHEAD, the books were despatched very quickly locally. My initial plans to visit local Police Stations were however dashed by the rotten weather conditions and the fact that most Police Stations were closed. I tweeted this out at the time and Mark Billingham saw it just as he was meeting up with WBN organiser Jamie Byng at the Royal Festival Hall event – so that cop has no idea that his comment went straight to the top ! Looking forward to WBN2013 already.